The Royal Palm Collection is one of award-winning designer Mikel’s newest creations. 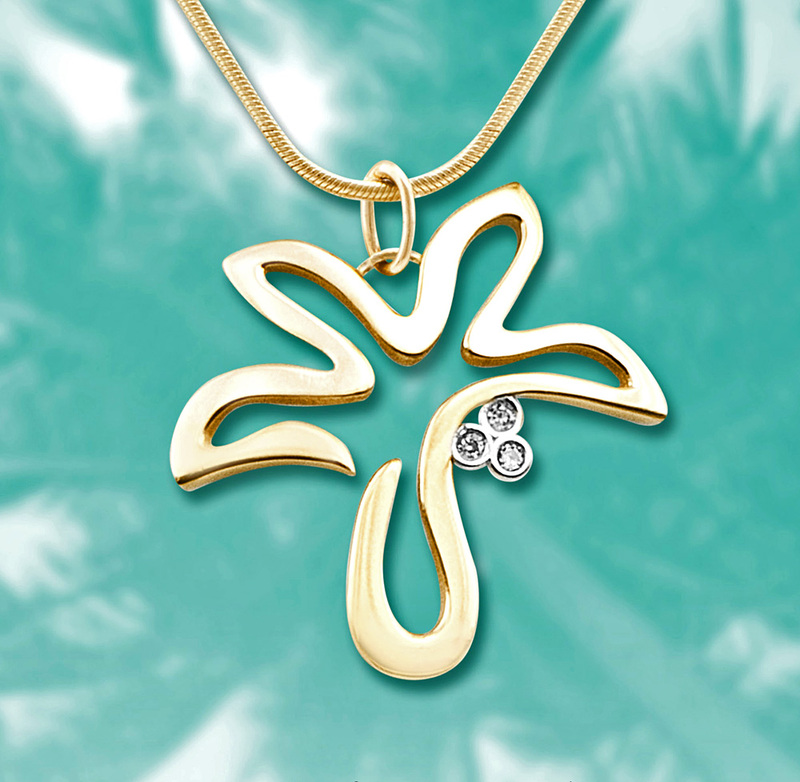 The Royal Palm version featured is a free flowing design in gleaming gold elegantly enhanced with three diamonds. A contemporary take on the iconic symbol of Island Paradise. This collection is available on Kaua‘i at Maui Divers Jewelry in Anchor Cove Shopping Center or online at www.MikelJewelry.com.